Fortitude Valley is still developing commercial sites. For example the Walker Corporation has just sold its proposed Ann Street tower. Property fund manager EG has acquired the site in Brisbane’s Fortitude Valley, just 1km north of its CBD, for $27.72 million on a tight 4.7 per cent net yield. Located close to trendy James Street, EG’s latest asset joins a plethora of office development in the area including Consolidated Properties’ $250 million office scheme at 895 Ann Street and Pellegrino Group’s commercial building at 89 McLachlan Street. In 2018, the Sydney-based fund manager purchased a 17-storey Brisbane office tower from Peter Harburg’s portfolio and sold Fortitude Valley’s Optus Centre site for $23.5 million. The property, which had approval for a controversial apartment scheme, was acquired by Scott Hutchinson of Hutchinson Builders for the 3,300-person capacity Fortitude Valley Music Hall. Fortitude Valley continues its vigorous expansion. Consolidated Properties have lodged plans for a $250m Commercial Tower in Fortitude Valley. The Consolidated Properties Group has announced plans to submit a development application for a $250 million office building at 895 Ann Street in Fortitude Valley. Construction is expected to start in late 2019, with completion expected in early 2021, subject to Brisbane City Council approval. The 15-level John Wardle Architects-designed tower will be located on the corner of Wandoo and Ann Streets. 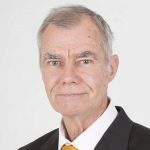 There are currently no new commercial developments under construction in the Brisbane fringe area and there is a fairly limited expectation for the near future, so vacancy rates are generally predicted to fall. Fortitude Valley is continuing its fast paced development and rejuvination. For a long time Fortitude Valley has been a hub for entertainment and shopping. The newest exciting development is the Howard Smith Wharves Project. 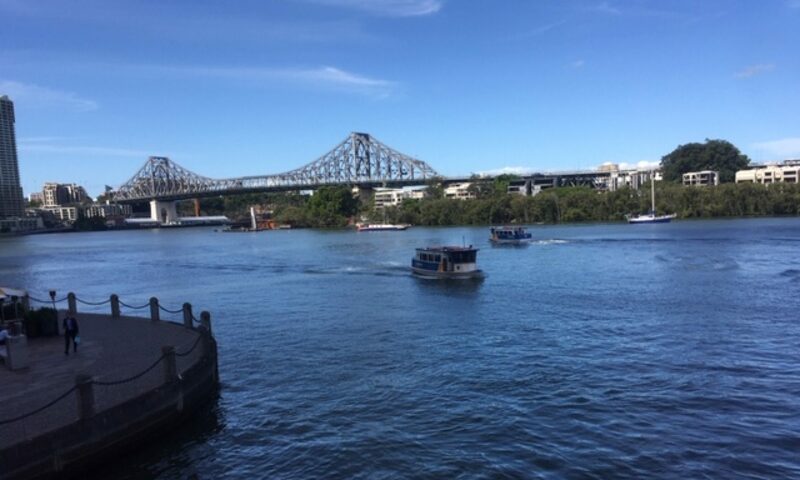 Howard Smith Wharves is a heritage-listed wharf on the Brisbane River at Boundary Street, Brisbane City and Fortitude Valley. It was built from 1934 to 1940s. The 3.5-hectare site is culturally and historically significant and was one of the last undeveloped riverfront locations in Brisbane. Original construction of the wharves was undertaken in conjunction with the construction of the Story Bridge, one of the Forgan-Smith government’s principal employment-generating projects. The area has recently had a major resurgence with Accor Unveiling a $100m Fantauzzo Hotel there. The latest Art Series Hotels has announced its namesake artist, acclaimed Australian painter Vincent Fantauzzo, for its new $100m Brisbane flagship hotel at Howard Smith Wharves. Fantauzzo will be at the design helm of the new hotel, responsible for furnishing the 166 guest rooms and lobby, located at the recently developed $200 million Howard Smith Wharf project. The six-level SJB designed building, which features a natural rock and timber facade, is carved into the cliff under Brisbane’s Story Bridge, and signals the eighth Art Series hotel for Accor. The new hotel will feature both original artworks and up to 500 reproductions of Fantauzzo’s most recognised works. Fantauzzo uses contrasting elements of light and dark, shadows and colours to create depth enhancing the realism in his work to create narrative. The redevelopment of the Howard Smith Wharves includes a new riverside parkland and commercial development spanning a 3.43 hectare site. In 2013, Brisbane City Council made plans to revitalise the precinct as a “world-class” riverfront destination. The precinct’s first stage is now open to the public. An interesting site less than a kilometre from Brisbane’s CBD has just become available. It is 5,357 m2 and is located at 184 St Pauls Terrace, Fortitude Valley. The site offers possible development potential of up to 20-storeys, 63,440sq m of gross floor area and three street frontages with great exposure to St Pauls Terrace. The existing buildings have 2,851 m2 of gross floor area. The site lies within 1 kilometre of the Brisbane CBD, Central Railway Station, Brunswick Street, China Town and the proposed $3 billion RNA Showground redevelopment. Fortitude Valley is a vibrant suburb, with an eclectic mix of shops wit products from all over the world, trendy night clubs and eateries as well as a growing office presence; nationally recognised for its immediate proximity to the Brisbane CBD and an area of high focus for the Brisbane City Council’s planned growth for the inner Brisbane area. Vibrant and creative character & nightlife, known as Brisbane’s most established entertainment Precinct. Excellent proximity to key public transport systems including Fortitude Valley Train Station and multiple bus stops. Continuous emergence of the precinct as a destination for major corporations. The future of this area. David Jones boutique 4-storey store now open on James Street to cater for upmarket clientele. The property at 184 St Pauls Terrace comprises two buildings including an administrative office building and a detached warehouse/stores building. Having been constructed in about the mid-1970s, both buildings are mainly of brick and concrete. The main building provides for two levels of office with accommodation areas. The ground floor has several offices and an auditorium, lecture/seminar rooms, storage areas, kitchen facilities including lunch room and staff and public toilets. The first floor is occupied by offices with additional lunch and tea rooms, general reception area, many storage areas, and includes staff and public toilets. The additional building is separate from the main building and is a multi-level. The mid-level has a roller door that leads to a small loading dock area which encompases an open storage area. There are also extra office areas located on this floor and the lower level with a stairway and male and female toilets are also provided. There are eight under cover car parks with lock up storage areas. 38 car parks are provided on the roof level. The site is NABERS exempt. Gavin Roberts from QB Commercial notes that this is an opportunity for developers to move into this fast developing area. [one_third_last]Is This the Most Exciting Vision for Urban Renewal in Australia? 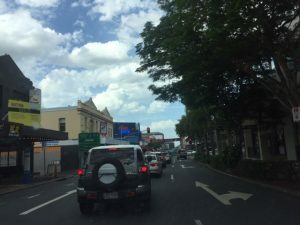 OK – here I go again, I’m going to put it out there loud and clear: the Fortitude Valley precinct on the northern fringe of Brisbane’s CBD is the most exciting urban renewal opportunity in Australia! Full stop. Before everyone chops me down, let me start by breaking down the logic that underwrites this idea. For the last 32 years, my life has been inextricably linked to the fortunes of Fortitude Valley. When my grandparents first arrived in Australia in the 1950s from war-torn Italy, they were warmly welcomed into the arms of the Valley’s multicultural community. When my parents were my age, they were actively involved in the glory days of the Valley’s live music scene. My first property job was in Berwick Street working for a company called Mofo Group! After a short stint overseas cut short by the global financial crisis, I was lucky enough to score a job with Leighton Properties working on a development that was to become “Mosaic” – a mixed-use project located at the crossroads of the emerging James Street precinct and the traditional Fortitude Valley heart. When we launched The Urban Developer, we “couch-surfed” in my sister’s art studios on Brunswick Street, followed by a stint in a co-working hub called Little Tokyo Two, before jumping across the block to Constance Street. We now call James Street home to our new HQ! Beyond all of this, I have lived the past decade of my life in the Valley and spent far too many nights (and dollars!) enjoying the best the Valley nightlife has to offer. Having lived, worked, played and been directly involved in the development of the Valley precinct for nearly two decades, it has become clear to me that this important part of Brisbane’s history is about to breakthrough to become a very important part of Brisbane’s future. Enticed by the promise of free land grants, a group of Scottish immigrants arrived on the banks of the Brisbane river in 1849 aboard the SS Fortitude. Denied land, they camped in today’s Victoria Park, Herston before moving on to settle a suburb, naming it after the ship on which the arrived. For almost 170 years, the Valley has continued to rebel against authority in pursuit of constant renewal. Today, in the shadow of towers that mark the most recent chapter of Fortitude Valley’s history, a renaissance is taking place and spreading from the top of the colourful Brunswick Street Mall to the laneways of James Street. Earlier this year, I was invited by the Valley Chamber of Commerce (VCC) to participate in an advisory panel that was charged with helping to establish a new Valley Vision. While there is nothing new about a Valley Vision, what struck me was the approach. Led by Alastair Leighton, cities director at AECOM, and Dai Gwynne-Jones, director at VCC, the renewed Valley Vision has taken a non-partisan approach that is more focused on enabling collaboration at all levels of government and private enterprise, rather than prescribing a particular approach. As a homegrown local, it’s not necessarily in my interests to see the Fortitude Valley change. But who cares about what I think? It’s changing anyway. In fact, the rate of change is accelerating. From major residential developments, hotels, music venues, new restaurants and office developments, the Valley is well on its way. What we need to implement now is a bold plan: a vision that rises above politics and delivers transformational change to ensure the Valley grows into a world-class precinct that is a defining part of “Brand Brisbane”. With the spirit of the SS Fortitude, let’s get behind this first step and support bold thinking, new ideas, disruptive technologies, inclusive public spaces, high-quality public realm, day and night-time economies, loveable streets, a welcoming culture. And most importantly, embrace the inevitable change that this place will ultimately embrace.